Considering the non existent market that Samsung’s ‘Oculus Engineered’ mobile headset entered when it was released in it’s initial ‘Innovator Edition’ back in 2014, the Gear VR has done remarkably well. It’s moved beyond enthusiast-only territory to a device that can actually help sell phones, something unfathomable just 3 years ago. 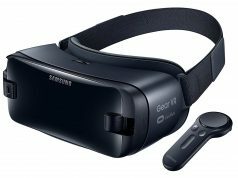 But while Samsung have up to now been content to sell new revisions of their headset to accommodate their relentless hardware refresh cycle, what about those who want mobile VR without the phone? 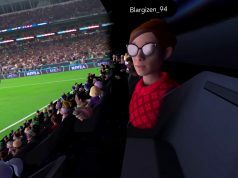 At Samsung’s developer conference this year, one of the company’s representatives, Head of R&D for Software and Services Injong Rhee, revealed that they were working on a standalone, untethered VR headset which didn’t require your mobile phone to function. Now it seems that a recent trademark filing in South Korea may reveal a possible name and brand identity for the new headset. The folks over at GalaxyClub.nl have dig up some logos for a product called ‘Odyssey’ with additional logotypes, as below. 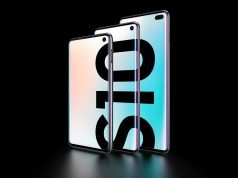 The timing of this leak is perhaps unsurprising as we’re due to find out what Samsung have in store for us in terms of mobile hardware at the company’s dedicated ‘Unpacked’ event, which is set to take place in New York on August 2nd at 11am ET, with simultaneous launch events in Rio de Janeiro at noon and in London at 4:00 p.m local time. There’s only two words I want to hear from Samsung: “Positional Tracking”. “Odyssey”… as the first console in history. Untethered? How will they manage that? Same as they do with GearVR, just an android device without phone functionality. Android is used also in TV’s marketing billboards and GPS systems , watches and other devices, it does not limit to just phones. Dev kits are now going out. But this would mean no positional tracking…. that’s a minimum feature for any VR goggles these days. Yes I agree positional tracking extemely important for immersion. Even mandatory for standing experience. For position Tracking you need external trackers like vive has lighthouses and rift uses camera tracking. That is indeed lacking on those devices, but there is still a lot of in VR that does not depend on it. I would rather wait for daydream as it seems that it can track the controller, might be a 3d camera in the phone be added, not sure though as i only seen the google videos, but it seems it can track it. The device PicoVR seems to have an additional tracked controller but its still currently dev kit, details missing. It is not impossible to have an android device with an postion tracked controller or even HMD, it is just a matter of additionla components and devices. Personally out of all current devices i went for the Vive first as it has all what is needed for optimal VR experience at this time. Currently its all just the start, next year devices will be improved and there will also be more choice. VR is just fun, no matter the device , it is just the way you can experience stuff. The more equipment and the better the equipment, the more fun. But thats the same rule for many stuff you buy, isn’t it.. ? if it has foveated rendering a mobile gpu could be powerful enough…. I’m as interested in a stand alone Android-based HMD as I am in the Gear VR. That is to say, not at all.